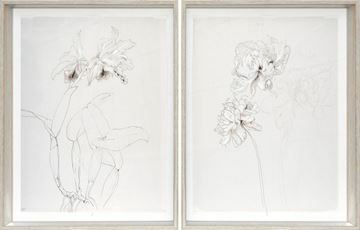 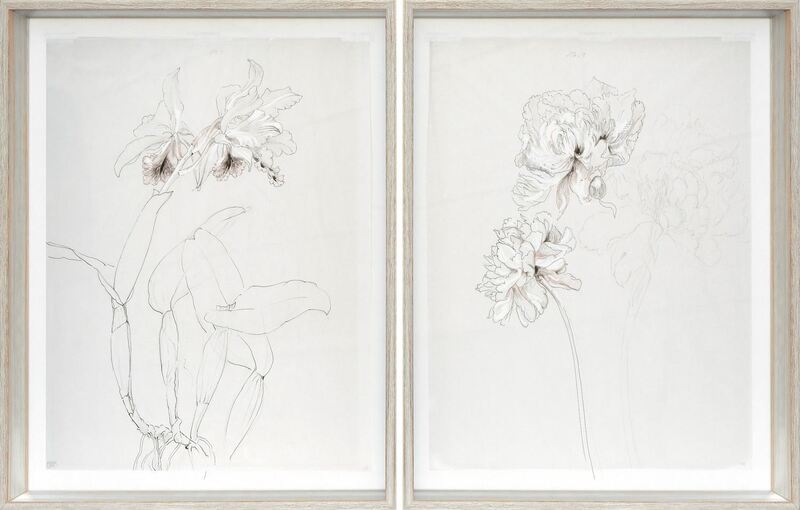 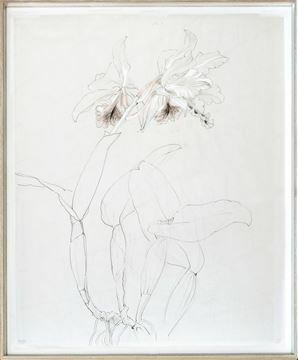 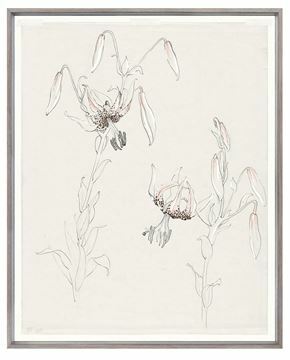 Sophia L. Crownfield's exquisite botanical drawings were originally textile designs for 20th century women's silk dresses. 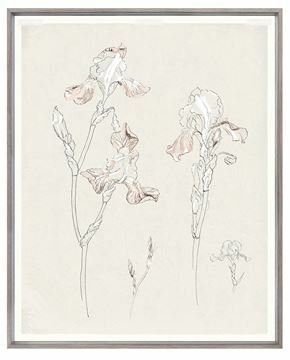 These drawings with current blush and gray create a subtle look. 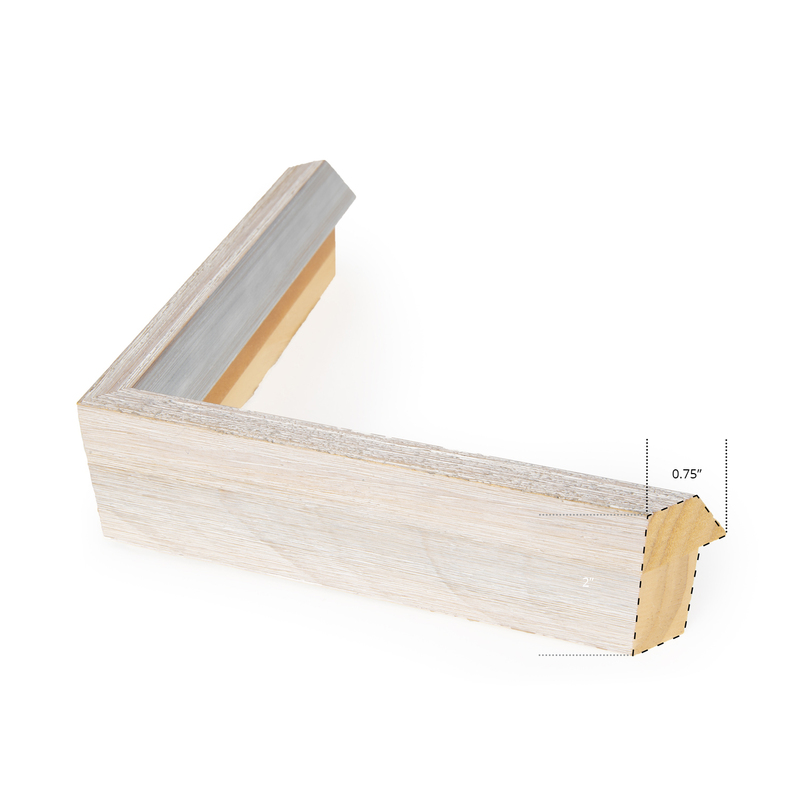 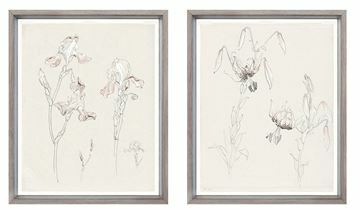 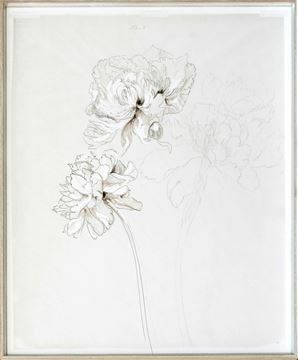 Each is set in an exquisite ivory wash frame with silver gild inside lip.